This week was the start of spring for us and seems like a good time to start writing and recording our journey to cheese and news on the farm. As a gardener at heart, spring has for the past few years been signified for me by the flowers that come out and the blossom on the cherry trees. But as a child growing up on the farm there was always a different milestone, it was the cows going out for the first time that meant spring was here. After months in the cow shed over winter our usually mellow, chilled and plodding cows take a childish joy in their first steps on to the grass, running, bucking, jostling for position in the herd and then eating as much fresh grass as they can as quickly as possible. We have been at the farm a lot this week, making a trial batch of soft lactic cheese which needs attention each day draining and turning. We also made a bit of yoghurt and drained some into a basic yoghurt cheese which we will mix with some fresh mint as a quick farmhouse cheese spread. The lactic cheese is the first cheese to be matured in our creamery shed, a cold room we have fitted inside my Dad’s old workshop, so a huge milestone for us. 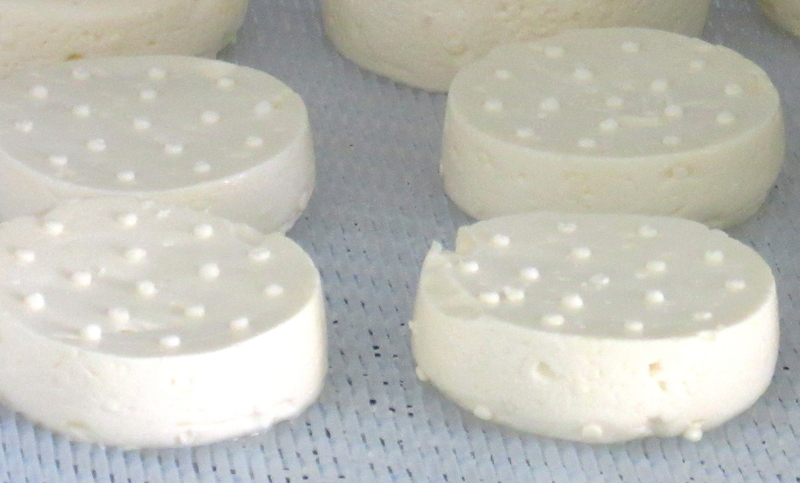 We have a long journey ahead before we have food safety approved cheese finished, but it is great to start experimenting and making these first steps. Being at Bradfields all weekend meant we got to see the cows go out on Monday, so our next cheese make will be from Essex grass fed milk. The cows queued at the gate as if they knew what was about to happen and enjoyed stretching their legs in the grass and the remains of the winter mud. They will still come in at night until the weather is a bit warmer but spring is definitely here for them and us.